Way back in the beginning of the year, I had trophies to build. As the steampunk theme coordinator, I take some pride in building trophies that would look good up on the mantel. That lead me to building my first folding cube. It started with another builder: Nils_O. 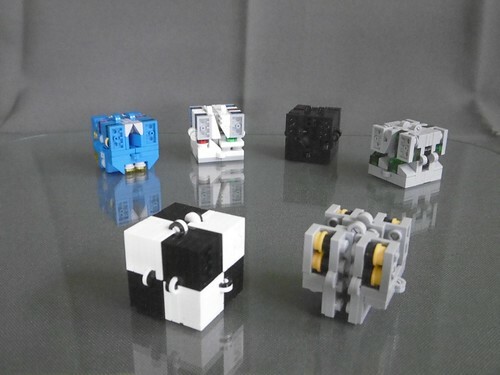 They figured out how to build these infinitely folding cubes with LEGO®. As lovely as their designs were, they just weren’t big enough to be the kind of impressive that I was looking for. I was going to need to scale it up. 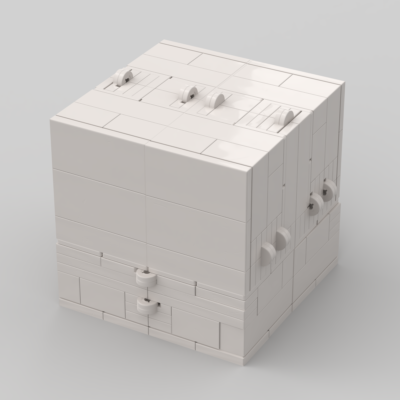 I stared at Nils’ designs and fussed with bricks until I managed a rough skeleton. From there, I fleshed it out into a densely worked cube of black and warm gold. Perfect for an enigmatic trophy. I shared the video and it got a couple thousand views. I gave the trophy away at Bricks Cascade and then I didn’t follow up for a while. I had a struggle of a summer. I built a new version of the cube, but it languished on my work table while I dealt with other things. A few weeks ago I took that new prototype to a show. People loved it. They played with it and played with it, marveling that it was built of LEGO®. This gave me the kick I needed to work on instructions. 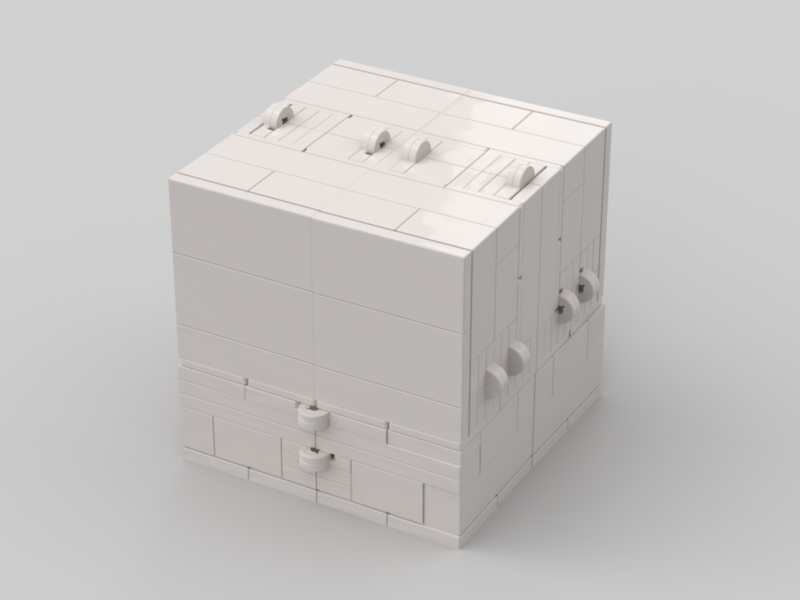 Lucky for me Bricklink just released Studio 2.0, their software for digital building, now with a built-in tool for making instructions. 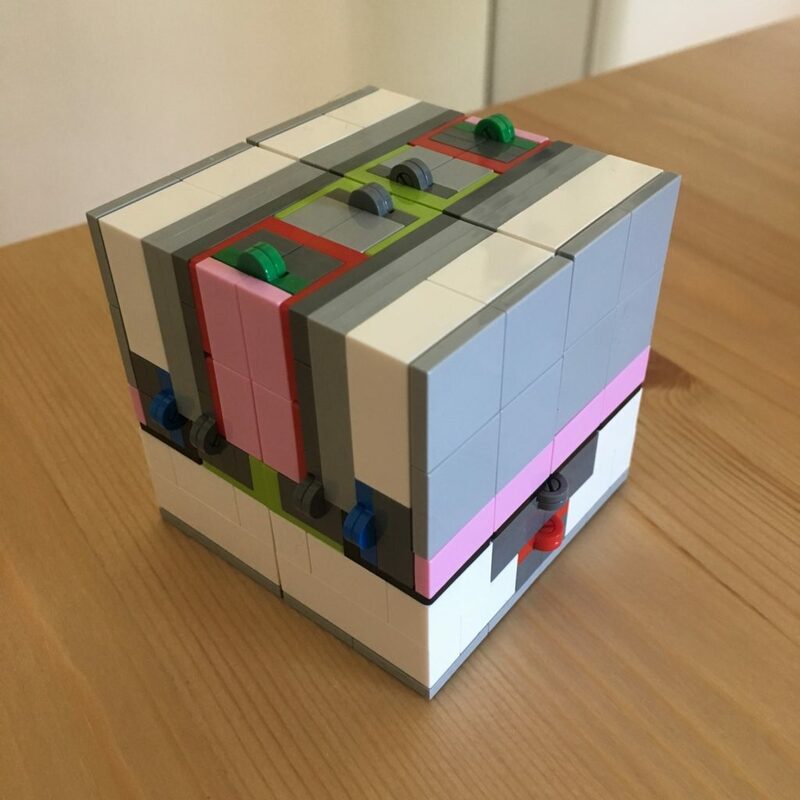 Their tool isn’t perfect, but it did enough of the heavy lifting so that I could put together instructions that I’m happy with. P.S. I’m planning on selling kits soon, for those of you who don’t have all the elements just laying around!